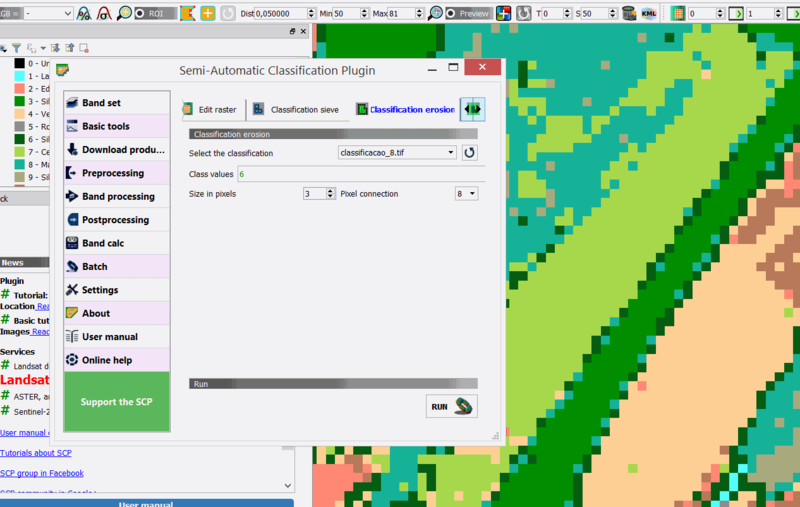 I get an error when working Classification Erosion tool in Semi-automatic Classification Plugin (SCP). I use QGIS v3.2.2 and SCP v6.2.4. Variable d doesn't exist and sN is not used anywhere within the file. So, changing that line into comment avoid you to get that error. Save the file, re-open QGIS and try to run SCP again. Not the answer you're looking for? Browse other questions tagged qgis-plugins classification image erosion or ask your own question.